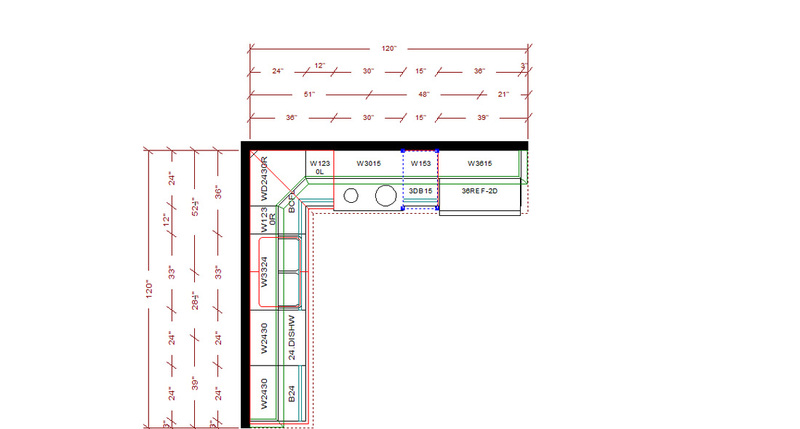 Here is a typical 10x10 kitchen design. Usually 10-12 cabinets involved with 30" wall cabinets.The special includes cabinets and select granite counter tops all installed. Some cases we can include demolition of old cabinets also a new sink. Appliances are not included. 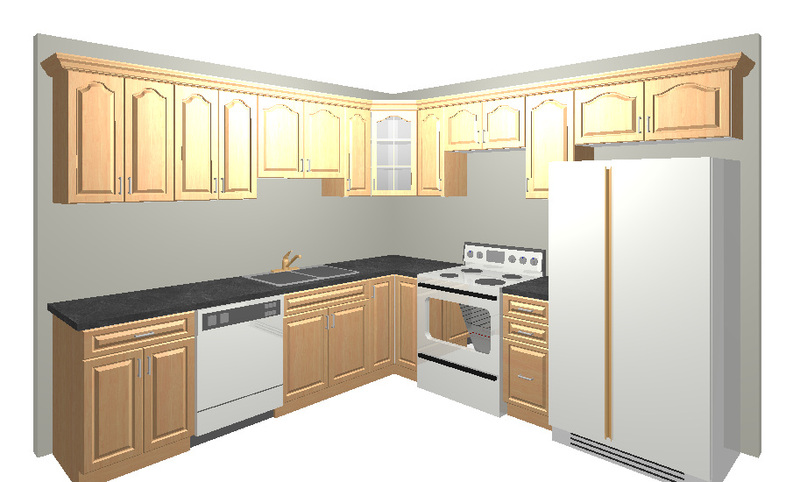 We will create a design according to your kitchen size and appliance locations.